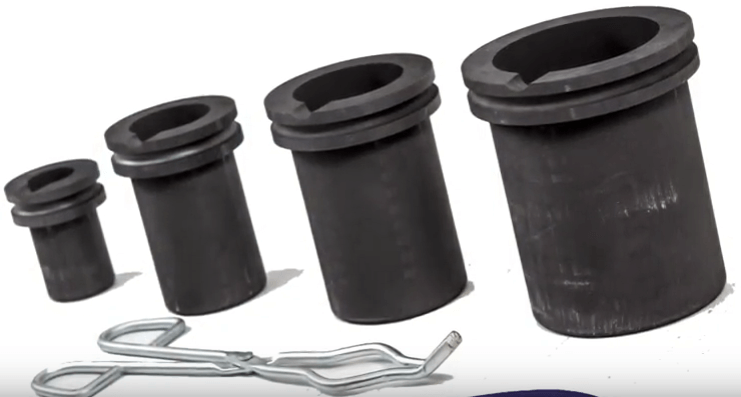 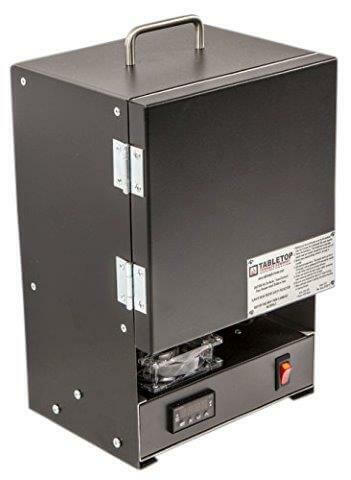 Utilize the rapid heat technology which is a 15 Amps system that powers 1500 Watts through our hand wired coils embedded within our ceramic insulation. 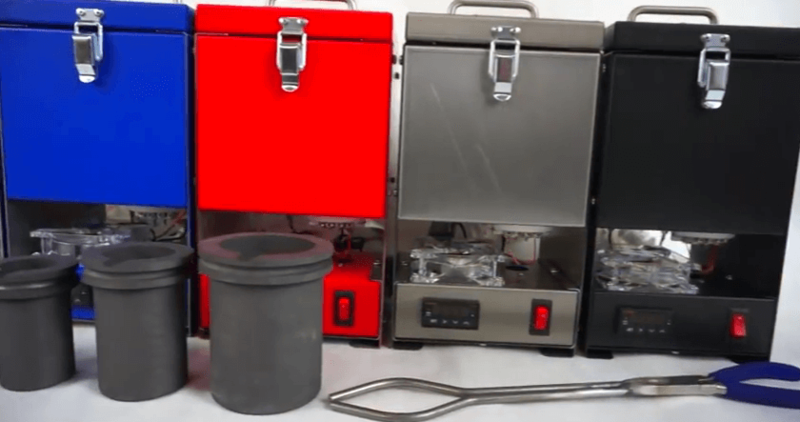 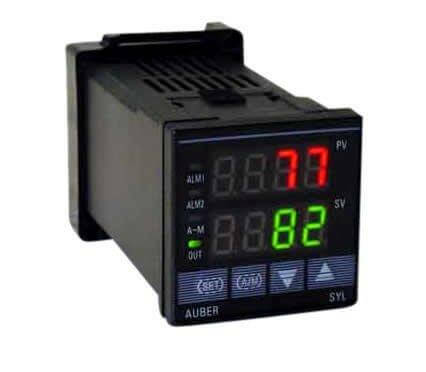 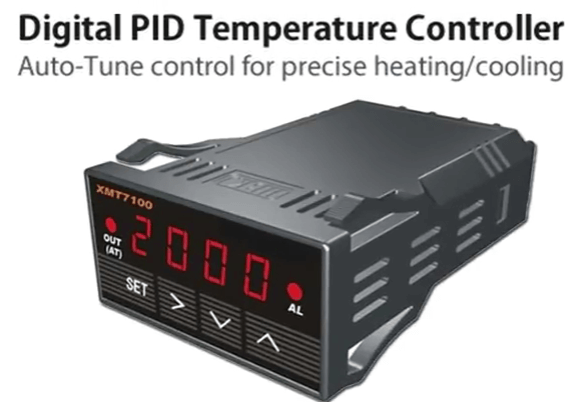 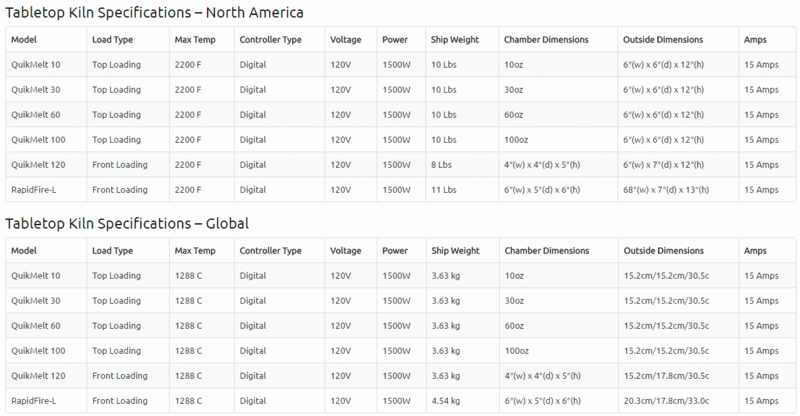 Both of these kilns use a Digital PID temperature controller that actually has an auto-tuning function that keeps track of temperature at desired set temperature within + plus or minus – 1 Degree. 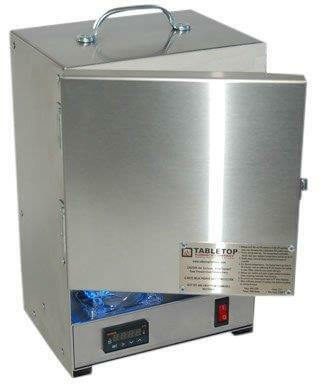 The melting kilns temperature controllers are very accurate, very easy to use it. 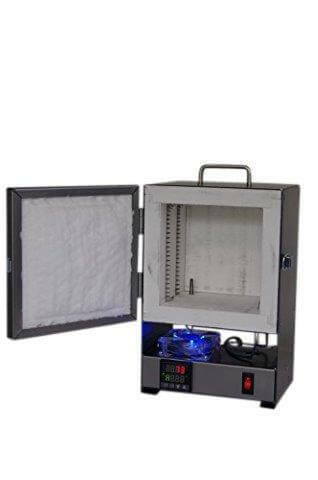 All kilns have 80 mm cooling fans to maintain a safe operating temperature for the electronics; to ensure optimum performance of the kilns during operation. 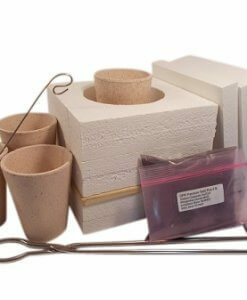 Each of these kilns come with the appropriate size tongs for whichever crucible size you pick. 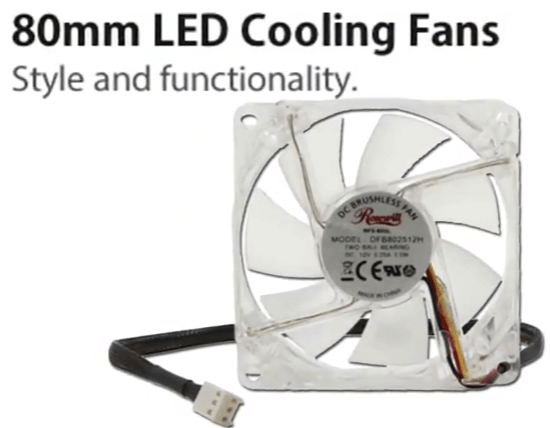 The Rapid Fire PRO-L with the standard controller can fill a double duty. 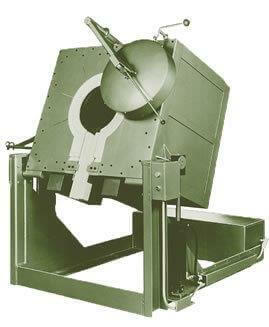 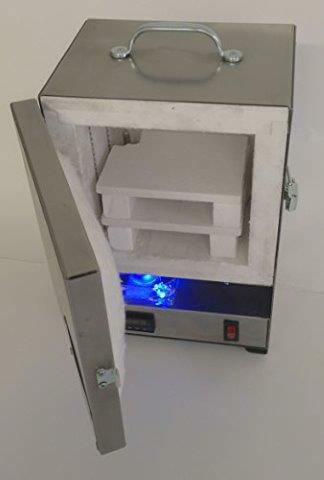 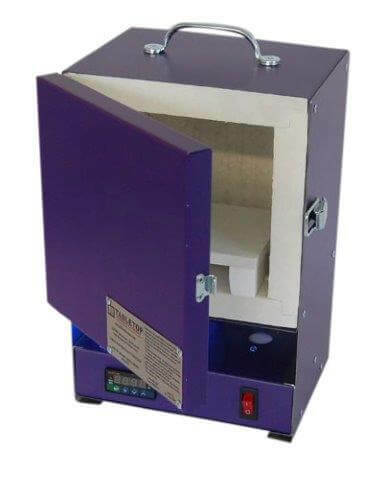 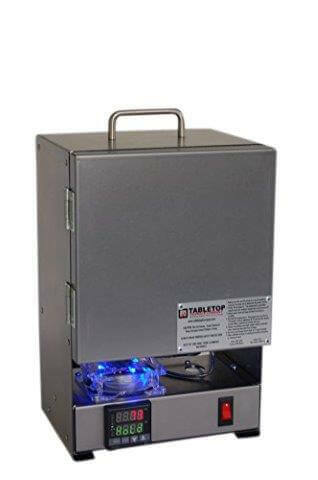 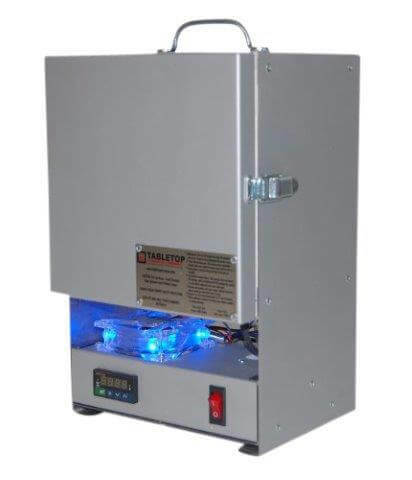 This small electric melting kiln can do a single temperature of hold. 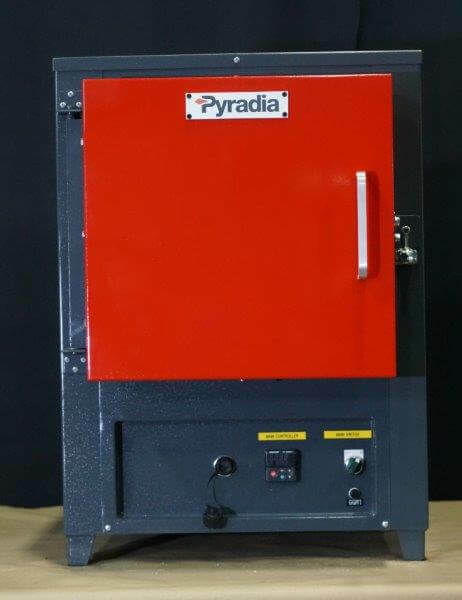 For example, if you do need to fire something so 1500 Degrees and hold it for 20 minutes then shut it down, this furnace can do it perfectly. 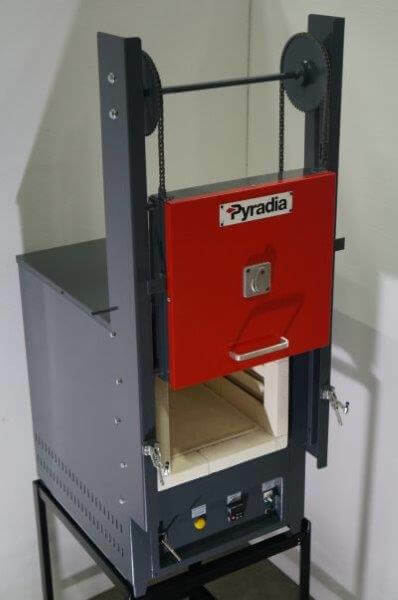 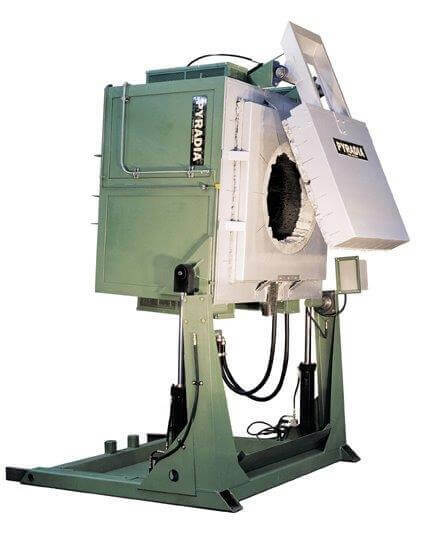 And with the Rapid Fire PRO-LP (available with a programmable controller) you can fit a crucible within the firing chamber allowing the kiln to become a precious metal melting furnace but also maintaining the ability to cure or bake any art piece. 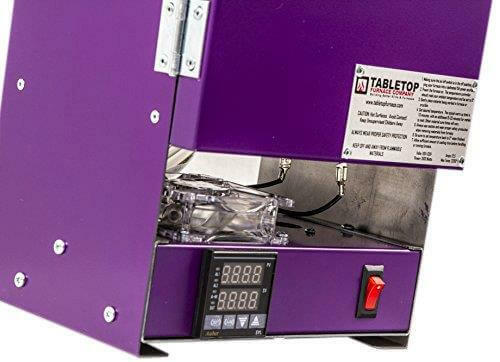 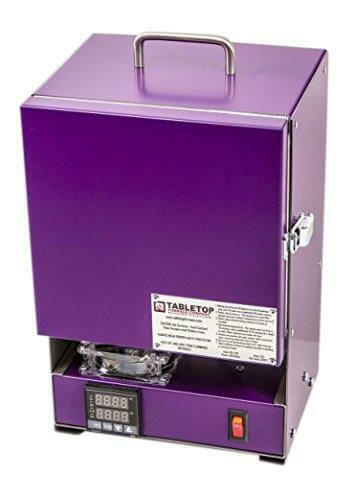 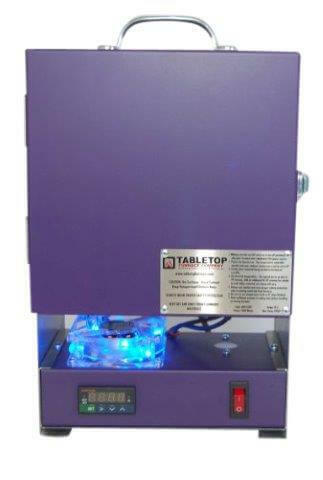 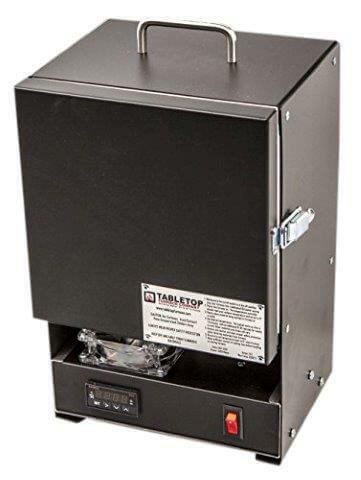 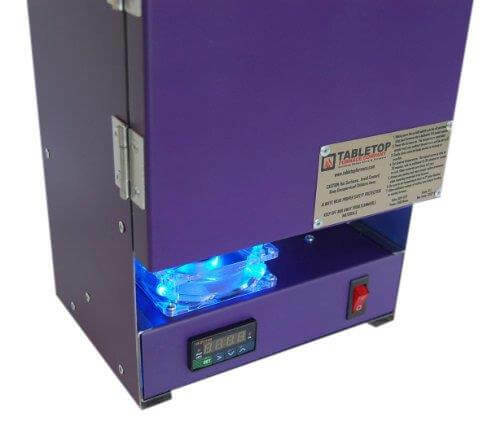 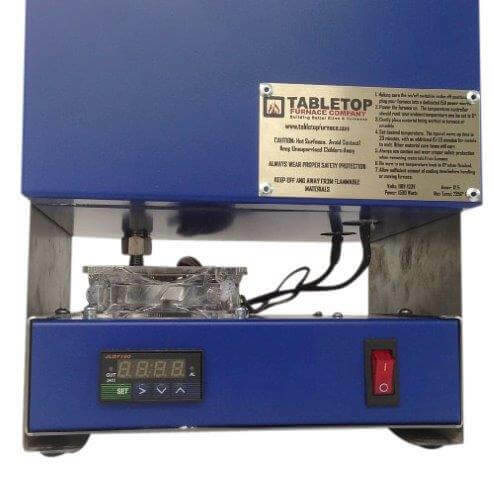 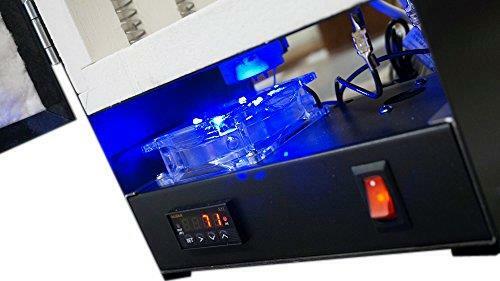 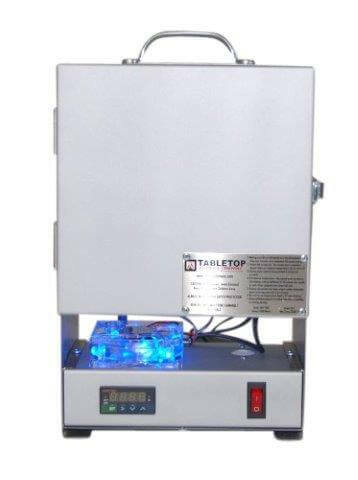 This programmable kiln is a great for all of the glass fusing and enamelling and anyone that needs total control over the parameters: heating time, soak time, ramp times for all your firings; you could actually program between 30 different steps with those controls. 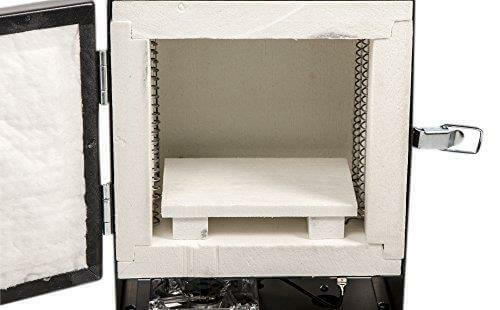 It’s completely versatile and very easy to use. 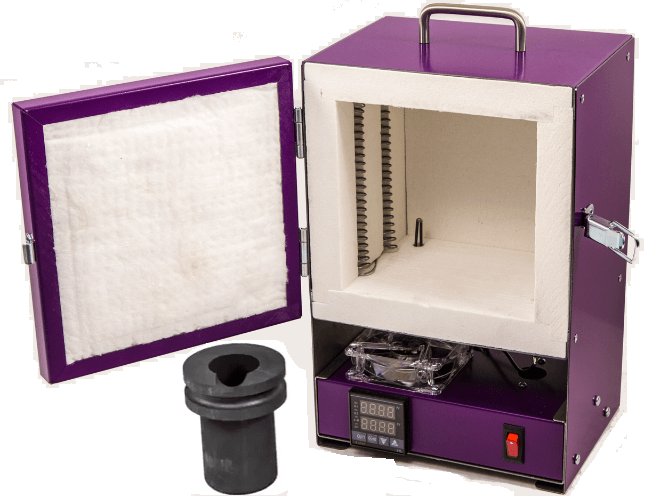 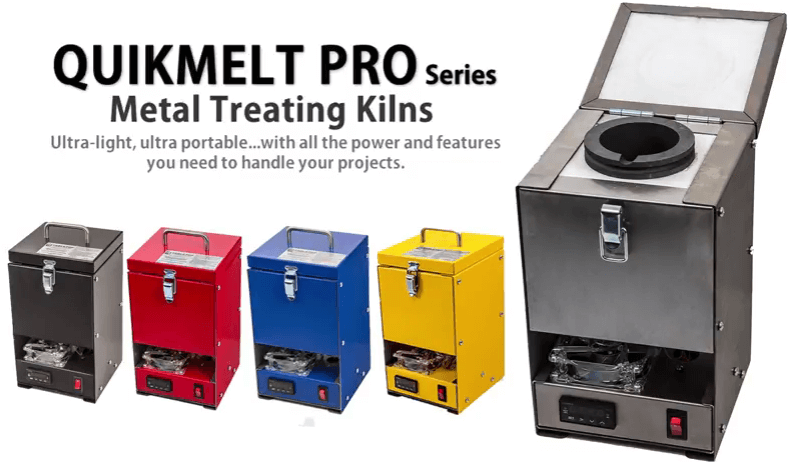 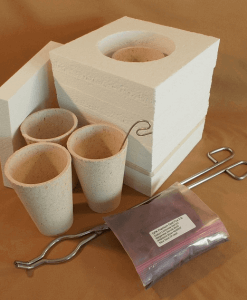 All Kilns and Furnaces are all: lightweight, small & portable, versatile and powerful. 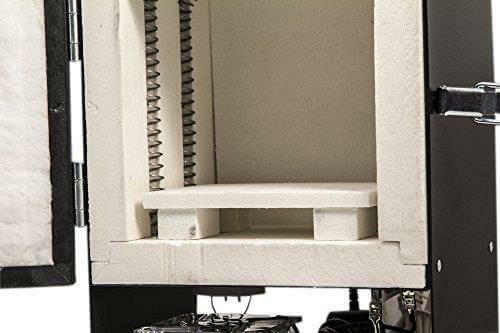 We actually use Cerakote which is a high temperature ceramic paint on the custom painted furnaces and kilns. 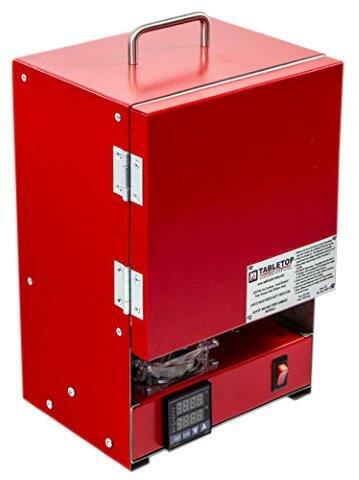 All furnaces and kilns are painted in the house, custom ordered.